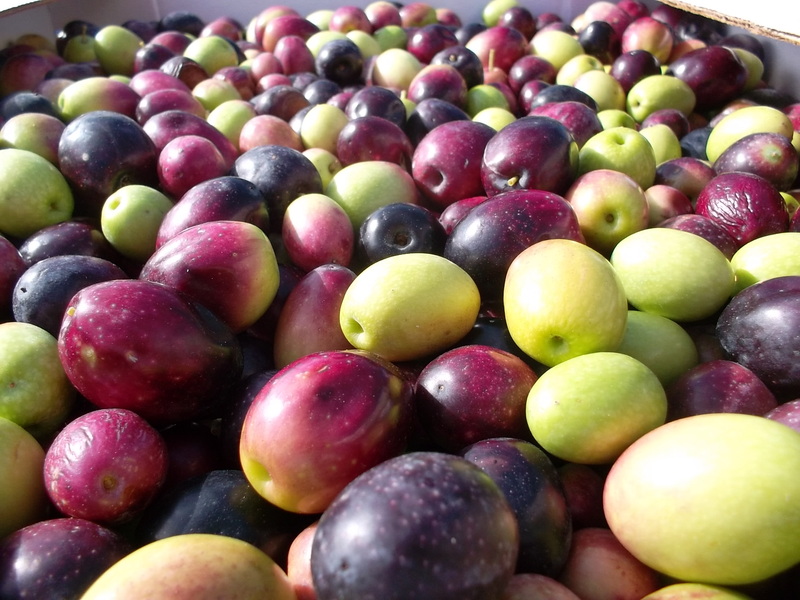 Recently, a small group of TTG members ventured forth to gather a very special type of seasonal produce: olives. The sandy soils and Mediterranean climate of the Perth region create a perfect growing environment for these plants, and in the space of a few short hours the foraging party was able to accumulate quite an impressive haul: 140 kilos! 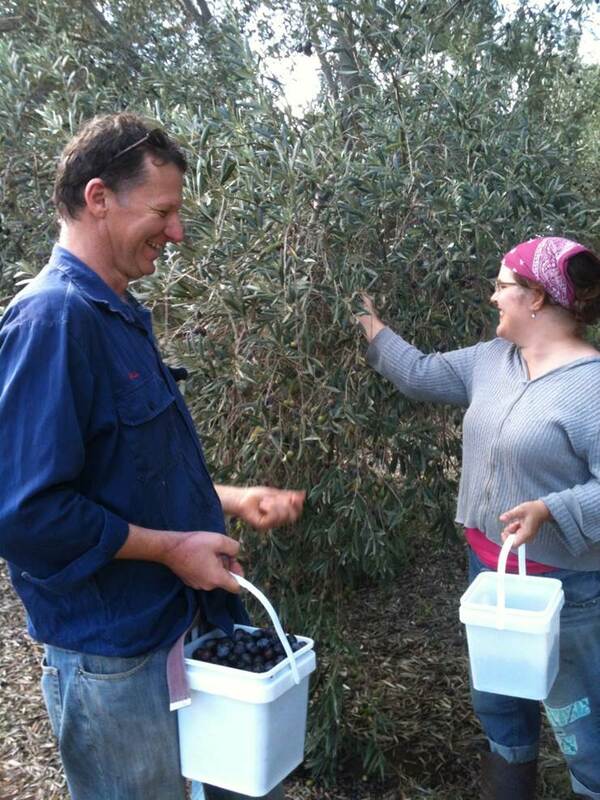 The next step was to deliver the bounty to Jumanga Olives in Carabooda for processing. 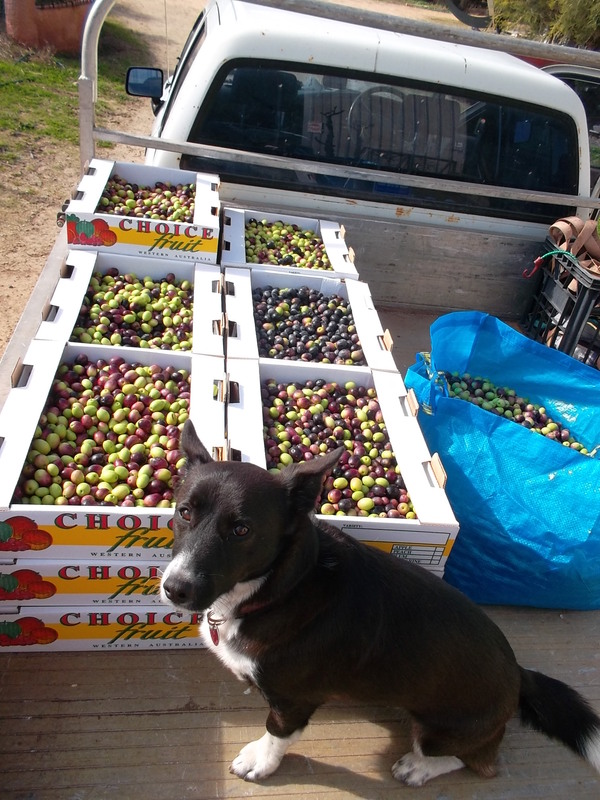 It seems we were not the only ones who were keen on obtaining some fresh oil—there was quite a queue of olives! We were asked to return for our oil 3 days later. 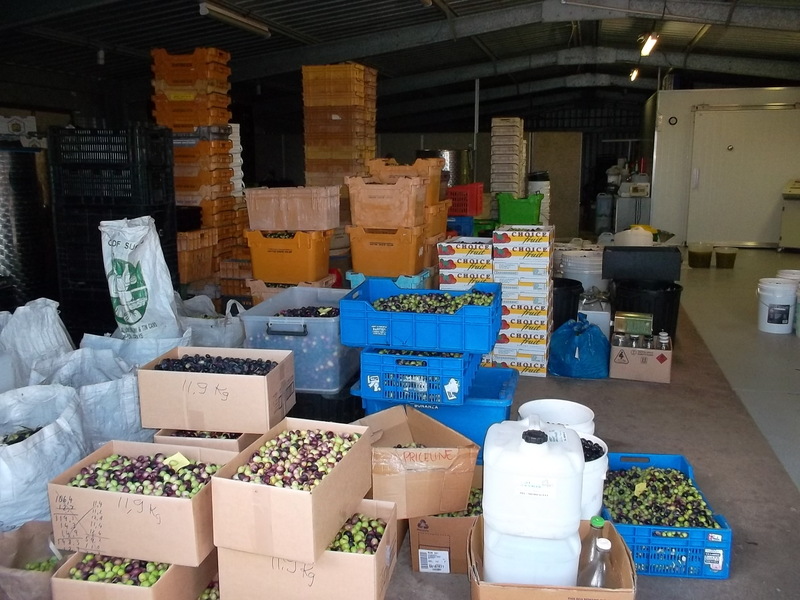 Our pickings yielded 23 lovely litres of liquid gold which then needed to settle for a further 3-4 weeks. Different varieties will each produce a unique blend, and it is suggested to include up to 30% green fruit in order to optimise flavour. It is very satisfying that a few hours of easy work with friends can yield such productive results. There must be many more opportunities like this which are “ripe for the picking”, and if we can work together then we can also share the fruits of our labours. This entry was posted in Flora & Fauna, Food, Take Action and tagged food, local harvest, seasonal produce, self-sufficiency. Bookmark the permalink.